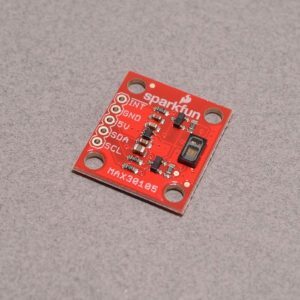 The SparkFun MAX30105 Particle Sensor is a flexible, powerful sensor enabling sensing of distance, heart rate, particle detection and even the blinking of an eye. 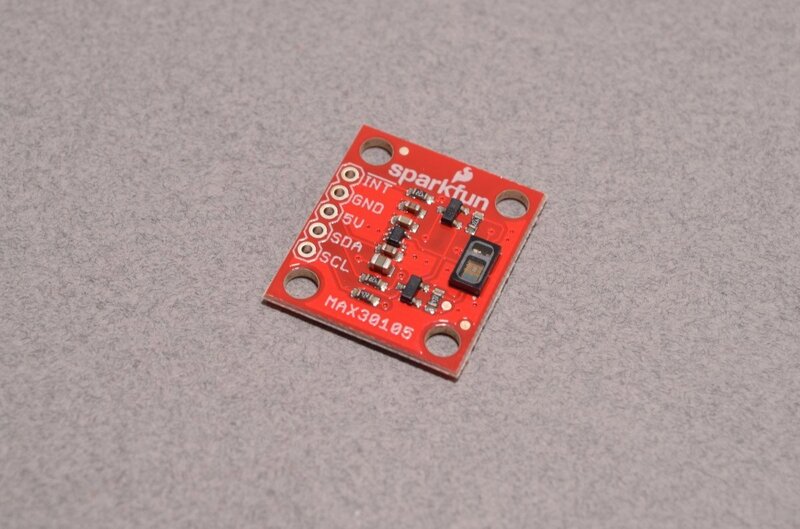 The MAX30105 has been equipped with three LEDs as well as a very sensitive photon detector. The idea is to pulse the different LEDs, then detect what shines back. Based on the reflected signature it’s possible to detect different types of particles or materials (such as oxygenated blood or smoke from a fire). 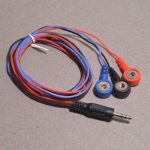 The MAX30105 utilizes a red LED, a green LED, and an IR (Infrared) LED for presence sensing, heart-beat plotting and heart-rate monitoring among its multitude of uses, including Pulse Oximetry. 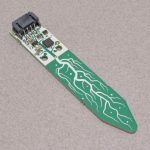 The MAX30105 is designed to operate at 5V and can communicate with both 3.3V and 5V microcontrollers. 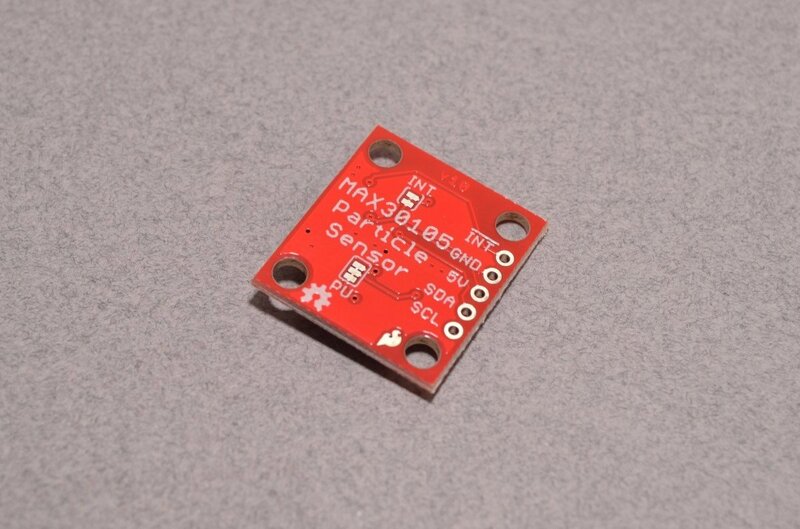 We’ve also written an Arduino library for the MAX30105 Breakout which takes care of all of the I2C communication, bit shifting, register writing and sample reading. SKU: SEN-094. Categories: Proximity, Biometrics, Air Quality & Content, Motion. 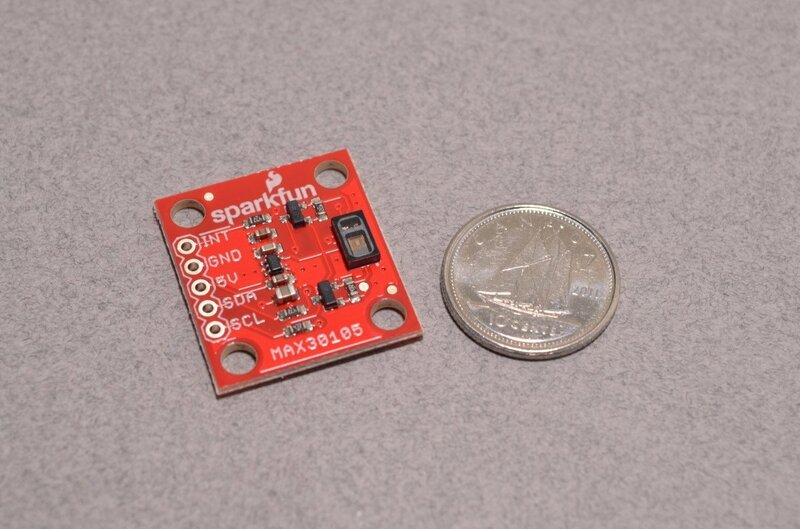 Tags: Light Packet, Sensor, SparkFun.